If there is ANYTHING about our service with which you are not 100% satisfied, let us know within 30 days, and we'll revise our work at no additional charge! 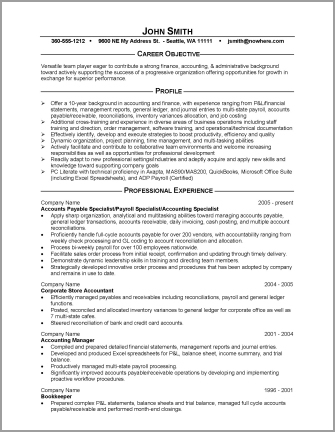 Click here to have us create a JOB-winning accounting or finance resume FOR YOU! Remember! : No two resumes or career objectives are EVER identical. To truly get an idea of how we can help YOU, e-mail us your current resume or a description of your employment objective & recent job duties. 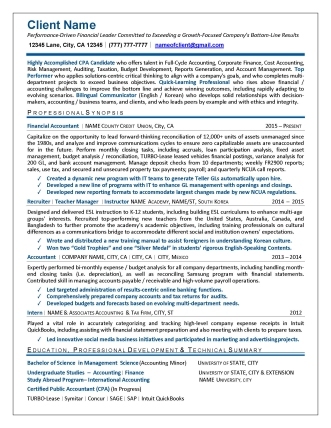 In just 1 day or less, we'll reply with a FREE sample demonstrating how we can transform your credentials into a letter-perfect...eye-catching...job-winning resume!